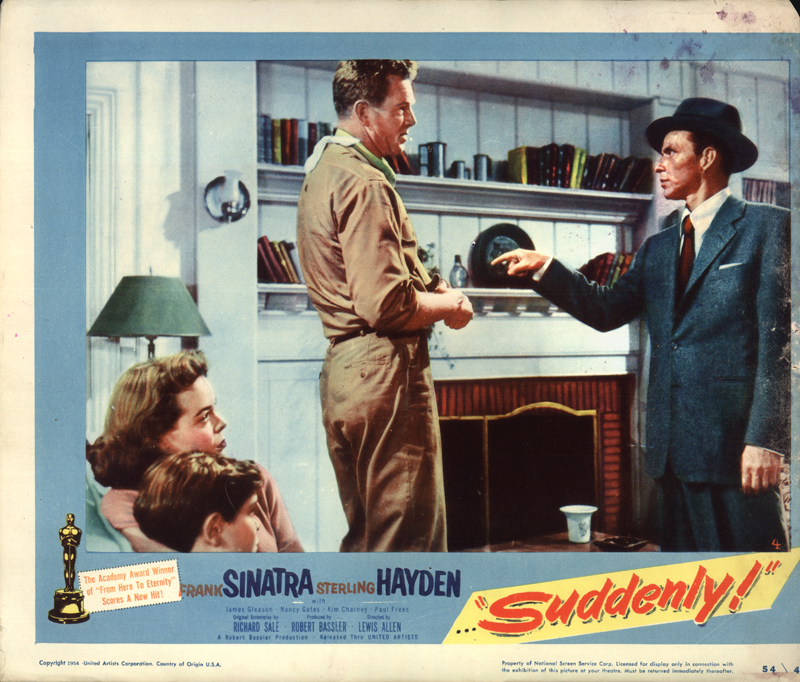 Frank Sinatra, Sterling Hayden in "Suddenly"
Lawman Sterling Hayden (center) and bad guy Frank Sinatra exchange words in the living room of a house on the south side of 8th Street in Newhall, in the 1954 United Artists thriller, "Suddenly." Original 11x14 lobby card (cut/damaged). LW2774: 19200 dpi jpeg from original lobby card purchased circa 2014 by Leon Worden.